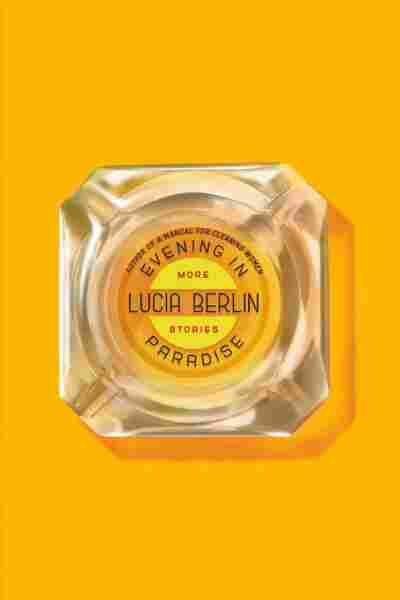 'Evening In Paradise' Remembers Those Who Might Otherwise Be Forgotten This second posthumous anthology of stories by Lucia Berlin is full of deeply felt stories about lives on the fringe, alternately comic and tragic, bound together by Berlin's love for her characters. Lucia Berlin first became a literary superstar in 2015, 11 years after her death from cancer at the age of 68. During her remarkable life, she'd published her short stories in literary magazines and in small-press collections, but she never quite broke through to the larger literary scene. That changed three years ago with the publication of a posthumous collection of her selected stories, A Manual for Cleaning Women, which drew ecstatic reviews from critics and made several year-end best lists. It seems likely that Evening in Paradise, the beautiful second anthology of Berlin's stories, will win over just as many readers as its predecessor. Just like A Manual for Cleaning Women, Berlin's new book is a marvel, filled with deeply touching stories about lives on the fringes. It's a work of remembrance of the kinds of people who might otherwise be forgotten. Berlin's stories are set in a wide range of locations, mirroring the places she herself lived as a child and an adult: Texas, Chile, New Mexico, New York, California and, in her last years, Colorado. The first two stories in the book are set in El Paso, Texas, and follow a young girl named Lucha. The stories are a master class in setting, with Berlin capturing the west Texas landscape perfectly: "We opened our eyes to the clear Texas sky. Stars. The sky was filled with stars and it was as if there were so many that some were just jumping off the edge of it, tumbling and spilling into the night." Berlin turns toward Chile in "Andado: A Gothic Romance," which tells the story of a young American girl vacationing at the estate of her father's colleague. Laura has a quick and awkward sexual encounter with her father's friend, one that leaves her with "an astonishment of pain." After the man expresses regret for having "ruined" her, Laura is taken aback: "Ruined? Am I ruined? For such a quick confusing moment?" It's a powerful coming-of-age story that manages to be both shocking and tender at once. In "Noël. Texas. 1956," Berlin showcases her formidable sense of humor. The story follows Tiny, a woman who hates Christmas, and whose husband has used the occasion to organize a large family reunion, much to her dismay. Tiny retreats to the roof of their house with a blanket and whiskey as she refuses to interact with her family, especially her unfaithful husband. ("Now I know Tyler's been sleeping with that tacky little secretary of his, Kate. Well, I.C.C.L. Which means I couldn't care less. Keeps him from huffin and puffin top of me.") It's a resolutely charming story, and Berlin captures the speech patterns of mid-century Texans perfectly. Berlin also uses her gift for writing realistic dialect in "My Life Is an Open Book," about a New Mexico school teacher and single mother of four who forms a close friendship with a younger man: "Now we all would have understood of she took up with some nice man, but this was sicko and him barely nineteen, to make things worse." After Claire and one of her children go missing, the townspeople come together to search for them. The story is both realistic and bleak, and a powerful look at the connections people make with one another under desperate circumstances. ... there's not a single story in 'Evening in Paradise' that's less than beautiful. As was the case with A Manual for Cleaning Women, there's not a single story in Evening in Paradise that's less than beautiful. Berlin had a gift for language, and never limited herself to one style — the stories in her collection are alternately comic and tragic, with the only thing in common being Berlin's obvious love for her characters, even the ones who aren't conventionally likable. And she had a great eye for subtle gestures; in one story, she shows a young woman's affection for her partner by describing how she held "the hot part of the cup when she passed him coffee, offering him the handle." It's a small moment, but a deeply touching one. "When some people die they just vanish, like pebbles into a pool," Berlin wrote in one of her stories. "Other people die but stay around for a long time ... because their spirit just won't let go." Evening in Paradise proves that Berlin's generous, beautiful spirit will endure in the literary world for decades to come.